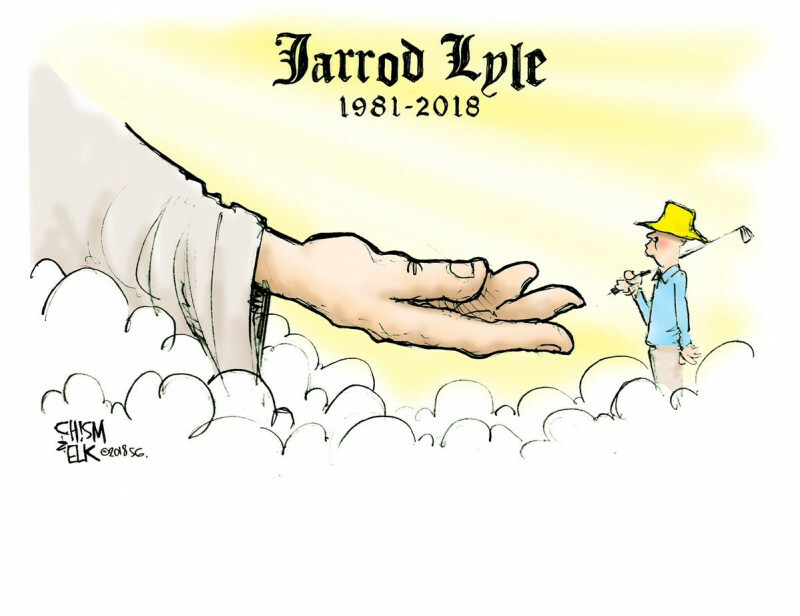 After a long and valiant fight Jarrod Lyle has lost his battle with cancer. Very sad, I had heard he was stopping tx. via social media and IB-F confirmed on the telecast during the Bridgestone event. Thoughts and prayers to his wife, children, family, and loved ones! I'm only a little bit younger than him and I also have 2 small kids. This is my ultimate nightmare. I feel for his family. Very sad news. He was an inspiring story, beating back cancer a # of times. Prayers for his family. It's not the birth date, or the end date, on the headstone marker. It's that 'dash' in between that matters. That dash represents all the important things....How a life was lived. The people who were touched because of kindness and love. The difference made in the lives of those who looked up to you, the example you set. The courage you showed, whether it was standing up for something you believed in, or the strength you showed when faced with personal trials in your darkest moments. It represents the manner in which you lived your life, the love that was shared, the memories that will linger on forever by those who will miss your smile, your hugs and kisses, your kindness and friendship. RIP, Jarrod. Prayers to your family. I followed his story on Instagram and very sad in the last year. Strange how some people are dealt poor health while others don't have that struggle. I thought golf channel sure did a nice piece on the day he passed! Titleist has made up some of his hats for the players to wear this week.